SolReader app is used in conjunction with SolAntenna devices. 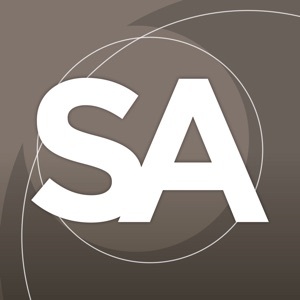 SolAntenna device stores sensor measurements into its memory. 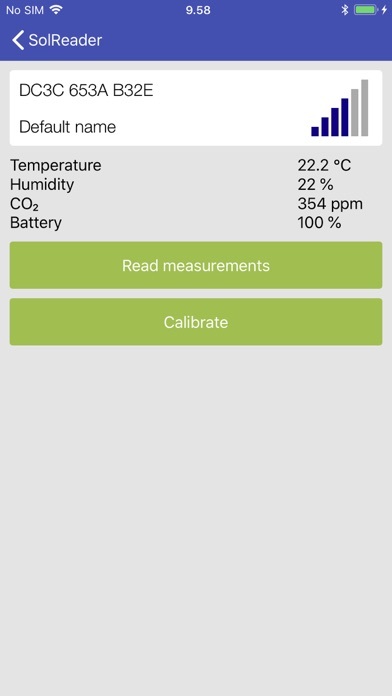 SolReader app reads measurements from the memory and transfers them to SolAntenna.com. 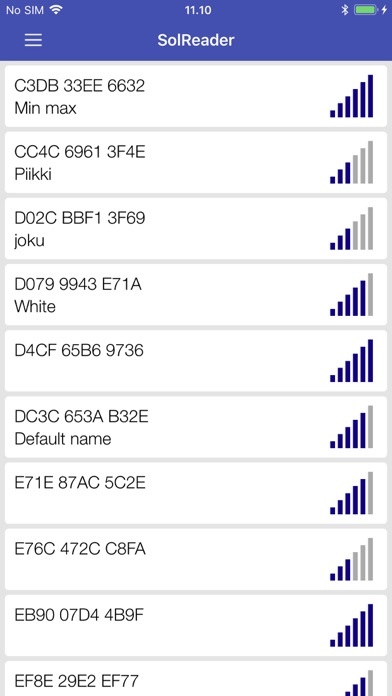 This app offers the opportunity to read data of any Solantenna device nearby without the need to be registered as owner of the device. The SolReader offers improved Bluetooth connection for better and quicker reading. Just install the app and it will detect nearby sensors and sends the stored measurements to the SolAntenna.com without the need of any additional hardware. Use SolAntenna app if an automated data transfer is needed. You will need an account in SolAntenna.com in order to view the data.